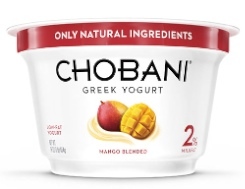 Randy Worobo, a professor of Food Science at Cornell University, said that the mold in the recalled Chobani yogurt containers is Mucor circinelloides. This species of mold is “not considered a disease-causing foodborne organism”, according to the press release. Some people have reportedly become sick after eating the yogurt, but there is no word on any confirmed illnesses or if they are linked to the products. Some people are very allergic to mold. The recalled yogurts have a lot code of 16-012 and best by dates of September 11 to October 7, 2013. You can see the list of flavors and UPC numbers of the recalled products at the FDA web site. The FDA has now posted photos of all of the recalled products too.